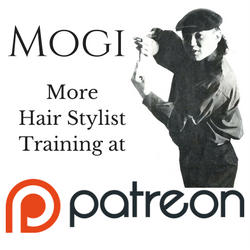 Want to learn from Mogi? Please click below! Don’t forget to check out my sites!! Don’t forget to Like and Subscribe!!! haircut length is short,if you cut length only hard to hair to move to make a final looks, my concept haircut call (In side out cut)or stroke cut to make a short hair between the root to middle of the hair shaft. if you like to do stroke cut,you have to hold correct,and secure and open close very fast, to do that you need cut at least 8 pound of newspaper .